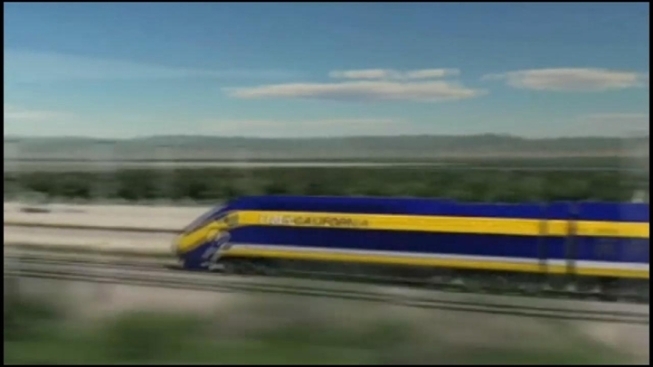 It will cost nearly more than twice the initial estimate of $43 billion to build a high speed rail system for California - and take twice as long. Originally, the line was estimated to cost $43 billion and be completed by 2020. Now, the project is estimated at $98.5 billion and expected to be completed by 2033. “Some of the numbers will look large, but the fact of the matter is, this a very large project,” said one proponent. Advocates of the project say the new figures are honest and realistic. Based on current MetroLink and Amtrak ridership statewide, the rail commission believes the train would be self-sustaining and attract private investors. "I think the biggest concern is they are not going to have the riders that they say, the system won't be self-sustaining," said Nadia Naik, with a high speed rail watchdog group. A rail line connecting northern and southern California would be completed in segments over decades. It would begin in the San Joaquin Valley between Fresno and Bakersfield, where permits are easier and quick to obtain than in urban Southern California. The project would need to begin construction by next fall or lose billions in federal stimulus dollars.